Financially savvy kids are future leaders! Get more helpful hints and fun teaching tools to engage kids in important money conversations at Money Confident Kids®. Have fun while playing games, doing activities, and learning what you can do to help teach kids about basic financial concepts. By teaching financial literacy in the classroom, you can help students learn critical life lessons and build important skills. Topics like saving money and learning how to be money smart are great add-ons to any math curriculum. Plus, it will help set kids up for future success. 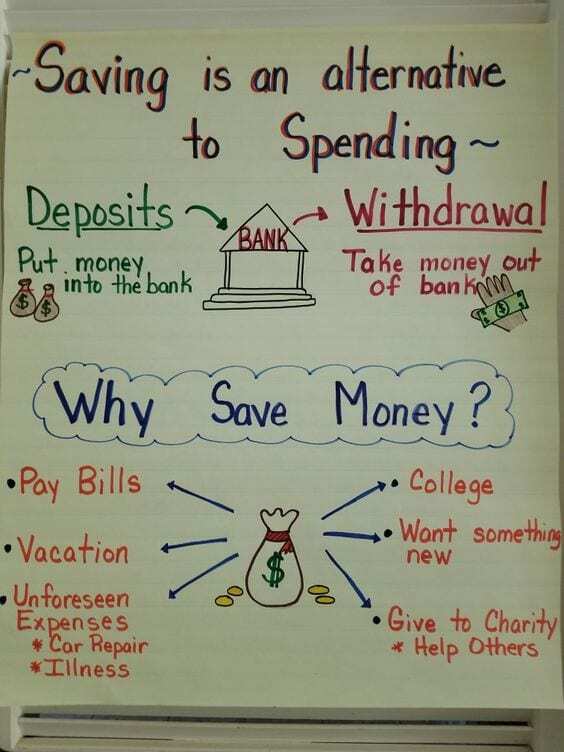 We pulled together some of our favorite financial literacy anchor charts for teaching money skills. Think of these as idea starters for deeper conversations about financial literacy. They can also be tailored to fit your specific grade level or needs. 1. Learn how to get financially strong. 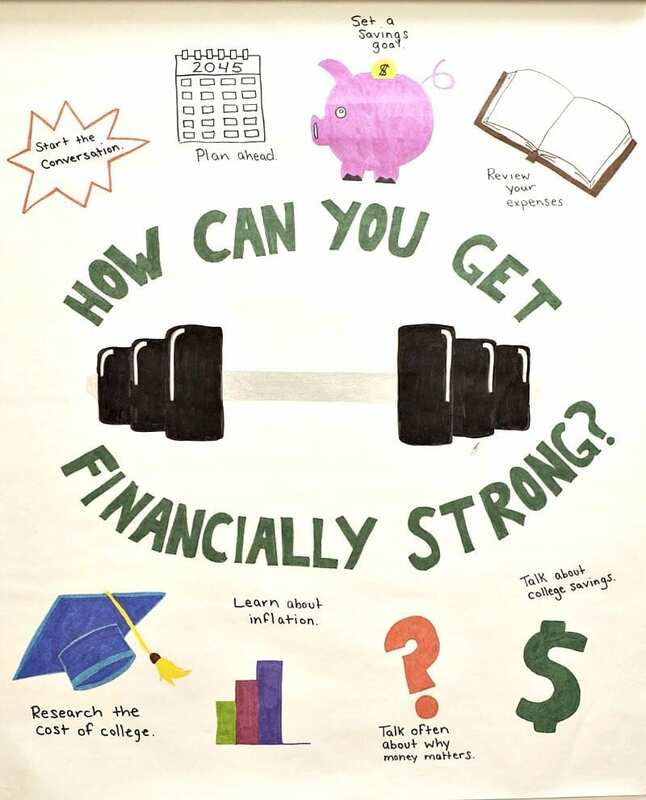 Talk to your students about the different things you can do to promote financial strength. Challenge your students to come up with lots of options. You can even draw from this lesson, 30 Days of Financial Fitness from Money Confident Kids. 2. 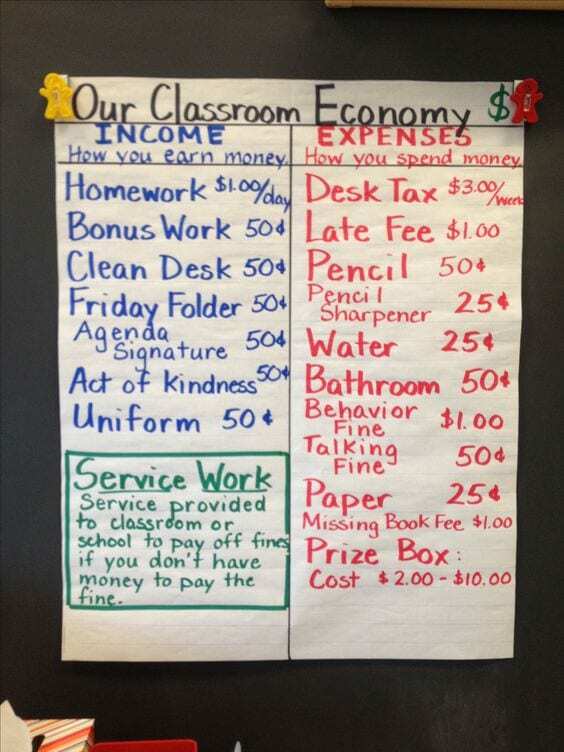 Build a classroom economy. Have you ever done the classroom-economy lesson in your room? Get students involved in coming up with the initial list. Then check out the Track Your Money PDF to help them keep a record. Kids will enjoy this hands-on lesson, and it really helps put savings and spending into perspective. 3. Look at all the ways we need money. This comes from the blogger One Extra Degree. 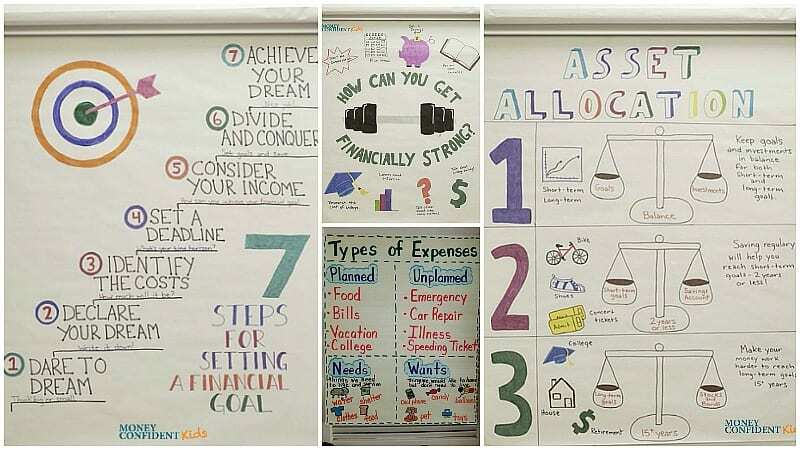 The anchor chart looks simple at first glance, but it’s such an important concept to cover when talking about financial literacy with your students. 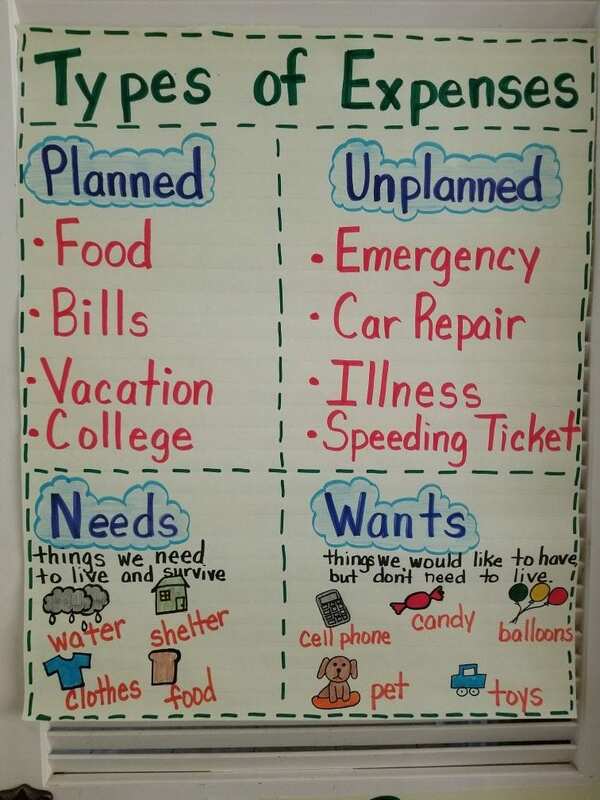 Really challenge your students to think of all the expenses that come up. You can get more tips for talking to students about money here. 4. Take it a step further with needs vs. wants. Needs vs. wants is a hard (but good) lesson for students. Check out this free downloadable magazine, specifically the sections about “Spending Now” and “What the Average Teen Buys” to explore this lesson further. 5. Give a lesson in asset allocation. 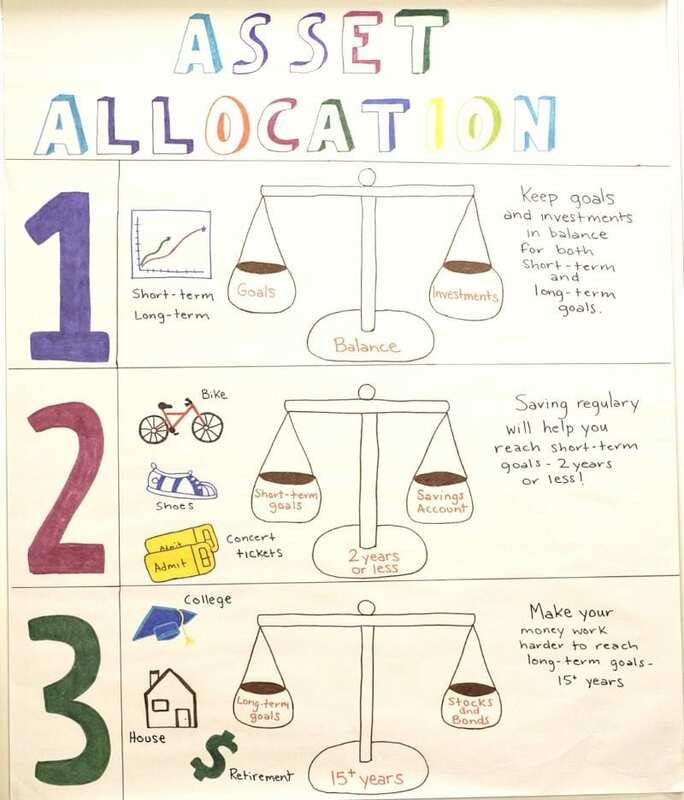 Asset allocation seems like a challenging concept, but this anchor chart helps break it down so it’s much easier for students to understand. It covers the importance of keeping a balance between goals and investments. Then it looks at how to do that both short and long term. For another fun way to teach your students about financial terms, check out the Three Little Piggy Banks activity. 6. Identify steps for setting a financial goal. 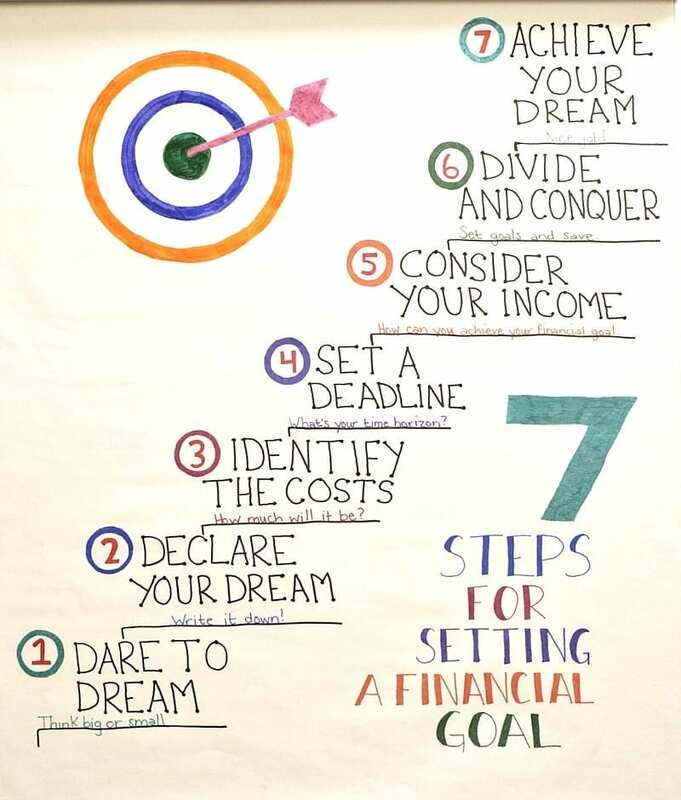 These steps for setting a financial goal came from this downloadable magazine from Money Confident Kids. As you introduce this to your students, be sure to talk about each step and what they mean. You can also try The Star Banks Adventure® game. We love the anchor charts from TeacherTrap.com, and this one is a good lesson in human capital. 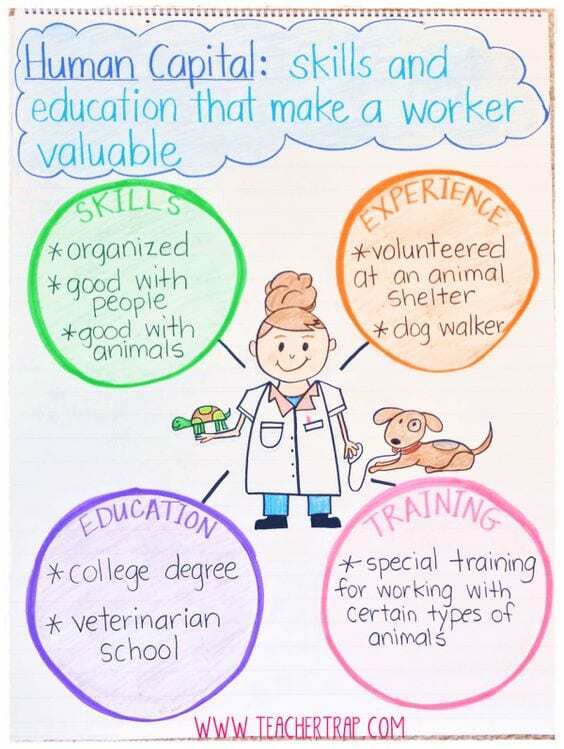 This example specifically looks at what’s involved in becoming a veterinarian, but you can use it for many other scenarios. 8. Break down the different types of economics. 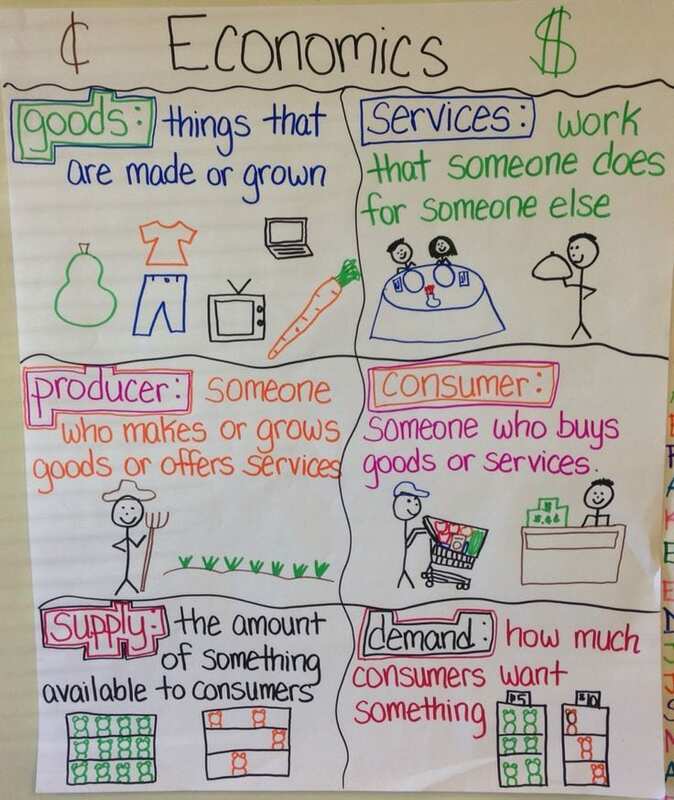 Economics is a big topic, but you can start breaking it down little by little with this anchor chart. The three areas of goods vs. services, producer vs. consumer, and supply vs. demand are a good start. 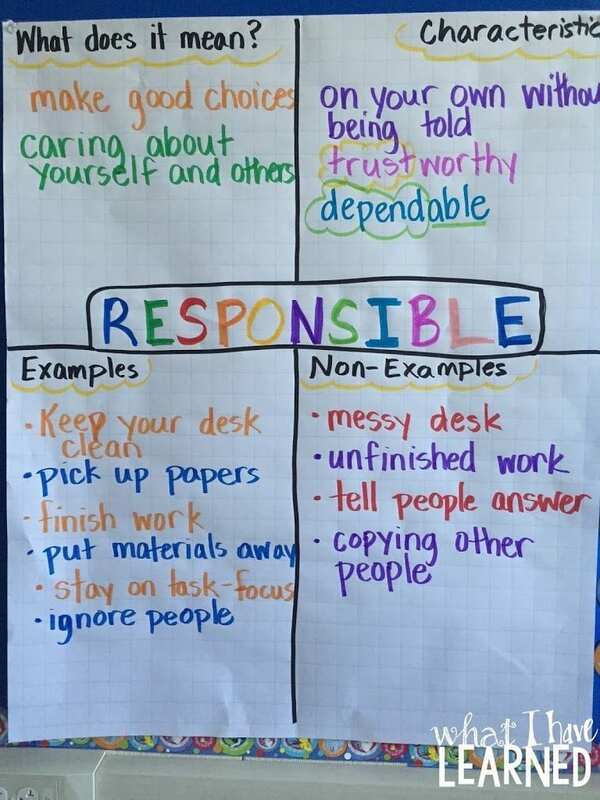 This anchor chart from What I Have Learned focuses on the topic of being responsible, and we suggest taking the basic outline of this and tuning it into a financial lesson. Then if you want to take it a step further, you can download financial goal certificates as PDFs from Money Confident Kids. 10. Discover the reality of taxes. No one loves paying taxes, but they’re an essential part of learning how to be financially responsible. 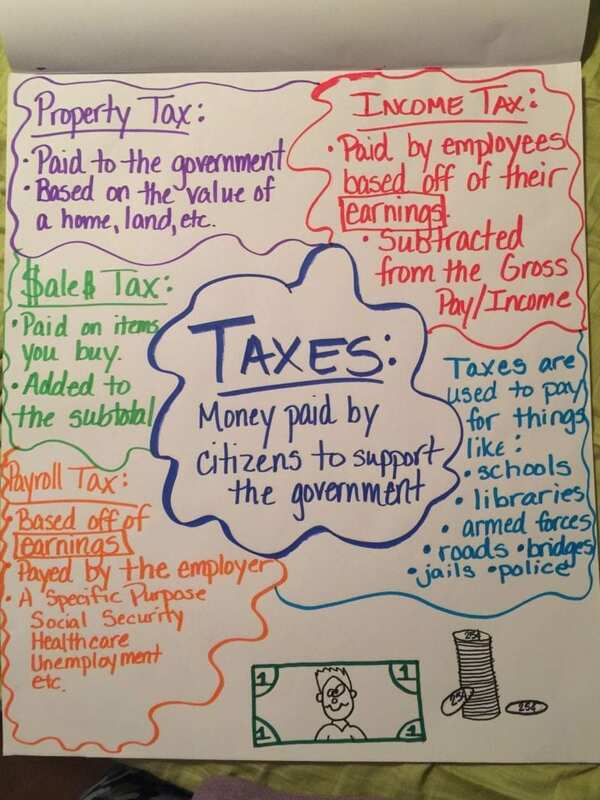 This anchor charts dives into the different types of taxes and how to understand each one. 11. Take a closer look at net income. 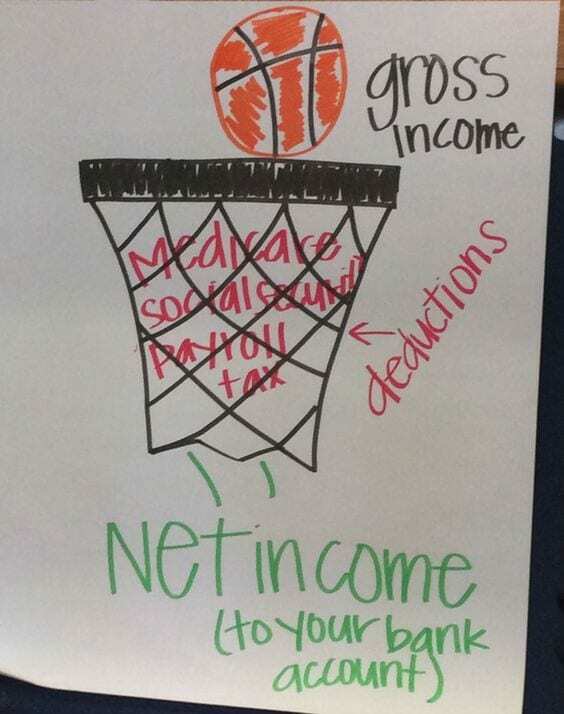 Continuing the lesson in taxes, this anchor chart focuses on net income. This would be a great exercise to have your entire class try. Assign them a job and an income and then encourage them to figure out their net income. 12. Look at the value of savings. Saving money is important at any age. 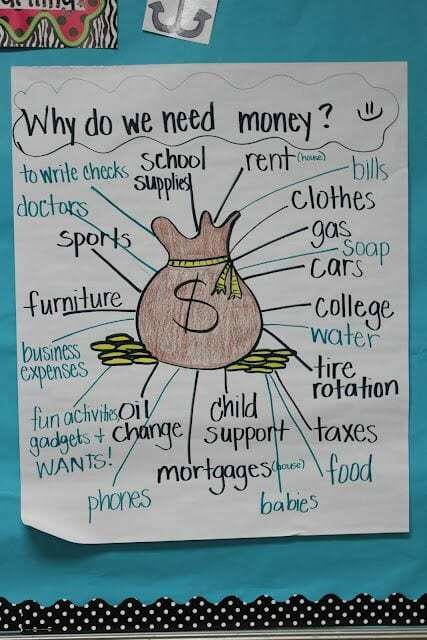 To accompany this anchor chart, check out the Money Confident Kids resource Do You Act Your (Savings) Age? It’s a good resource to use when talking about the importance of short- and long-term savings. We made some of these anchor charts. Check out how they came together in this video! What Is Coopetition, and Why Does It Belong in the Classroom?